Dyke is a mask of simple pleasures. Dyke is especially proud to have crafted a prize-winning gruel recipe. Most people think gruel is kind of bland, but Dyke is willing to change a few minds. Dyke’s recipe has the mouthwatering aroma of paper, with a savory aftertaste of sand. Forgot your spoon? Don’t worry. Dyke encourages to grab a hearty handful of gruel for your travels. Happy trails! 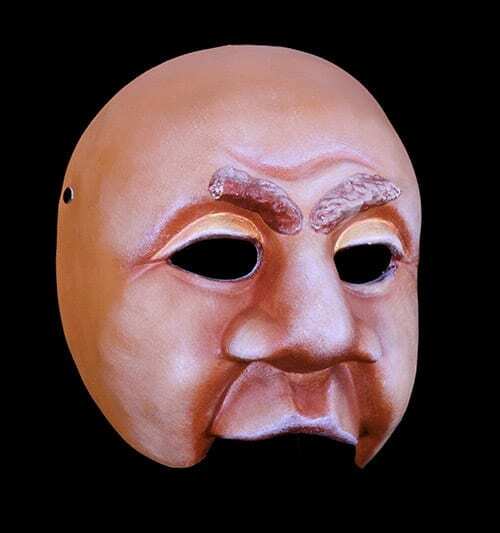 This character half mask is based in fear, envy, joy, and sadness. 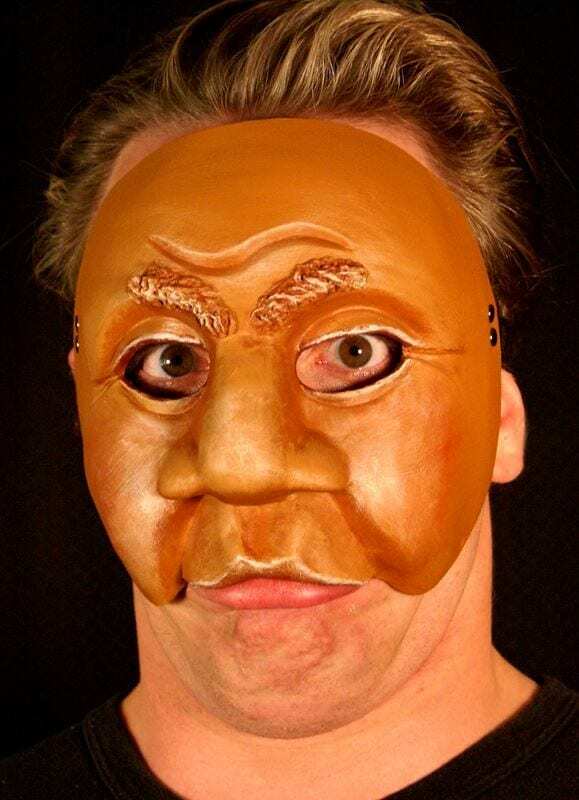 The masker finds always an intense sense of curiosity about how to accomplish tasks and solve problems but somehow never gets anything done or finds a solution. 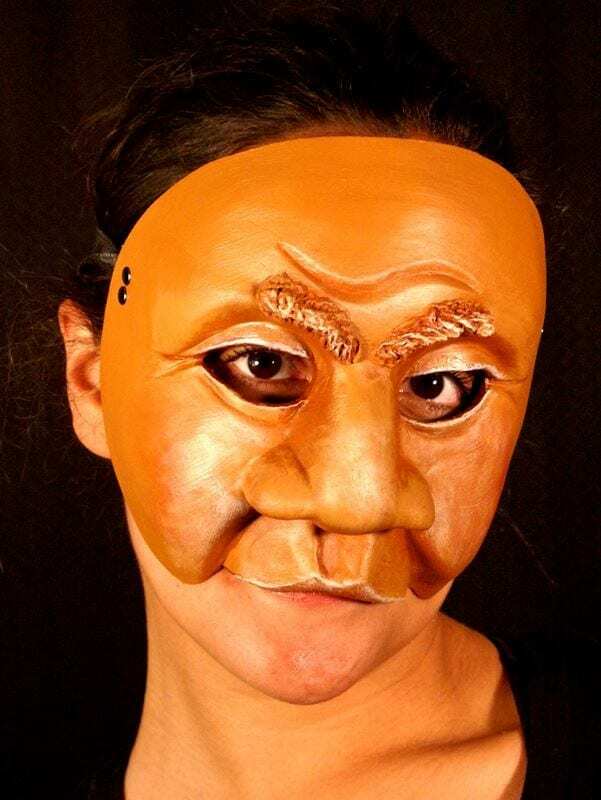 This is favorite theatre mask in the classroom among students of performance.